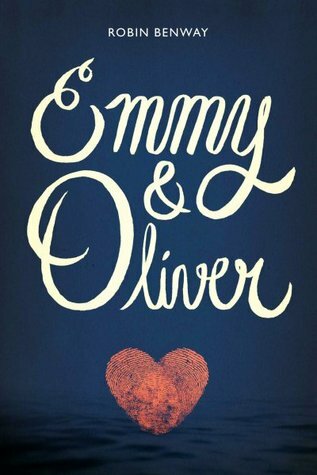 Emmy and Oliver are next door neighbors and best friends, until the day in second grade when Oliver’s father kidnaps him. Ten years later, Oliver is back at home and his father is on the run. No one quite knows what to do or how to act. This was an interesting story, but honestly, the book was just kind of so-so for me. Some of the writing and characterization didn’t work for me, and I wanted a much thicker, deeper exploration of the psychology. I don’t have much to say beyond that. It wasn’t a bad book, and it wasn’t a great book, and I often think that sort of in-between is the hardest kind of book to write about!! This entry was posted in 2015, Prose, Young Adult and tagged LGBTQIA, mini-review, psychology. Bookmark the permalink. “Meh” really can be tough to stretch into a longer review. With a premise like that, I would hope for a long look at the mental aftermath too. Oh well. On to the next! Normally even with meh reviews, I try to focus on the things that DID stand out, but I didn’t want this to seem negative, and most of the things that stood out were negative things, even though the book itself was enjoyable. I wasn’t bowled over by this one, either, but did enjoy it (and finished it, which is rare these days!). It was a bit shrug-worthy, though. I think perhaps I just expected a little more.